This ist about you and your event! Hi and welcome to the event organizer "eventerlebnis"! Inspire your employees with a fancy indoor or outdoor event for sustainable teambuilding and choose the right event for you and your company. Many of our events are also perfect as a short input as example between a Meeting or Seminar. We carry out the events ourselves and are therefore flexible at any time fo day or nigth throughout Switzerland. We come directly to you in the seminar hotel, on the company site or wherever you plan the event. Shaken or stirred, fruity or creamy, with or without booze – no matter how you like your cocktail, this event will develop your existing expertise for sure. Immerse yourself into the colorful and fruity world of cocktail mixing. First, you get in touch with all equipment needed to mix a cocktail. 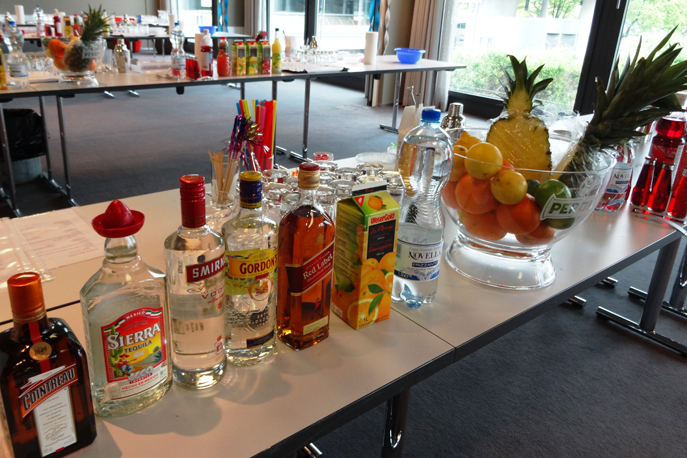 Afterwards, you create 5 alcoholic and 3 non-alcoholic cocktails in your group. Don’t forget to decorate your self-made cocktails. Of course, you can use recipes to get inspired. The highlight of the evening will be to create your own fancy drink in your group, which will be rated of a jury among tasting and appearance. Let your creativity run free. Even if you set aside alcohol for any reason, you still can relish delicious cocktails. You are wrong if you think only Ipanema and Virgin Colada are non-alcoholic drinks to enjoy. We can guarantee the list is long. After this workshop you will be the master of cocktails. You will get the experience how single ingredients create completely new harmonic flavors once they are combined. 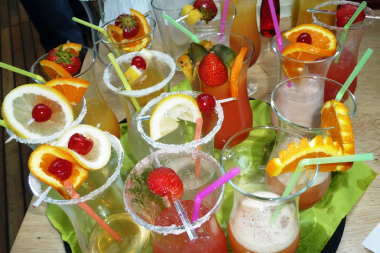 Furthermore, you will get the knowledge of how to replace certain varieties of alcohol. Is it necessary to mix a non-alcoholic drink equally like the alcoholic one? 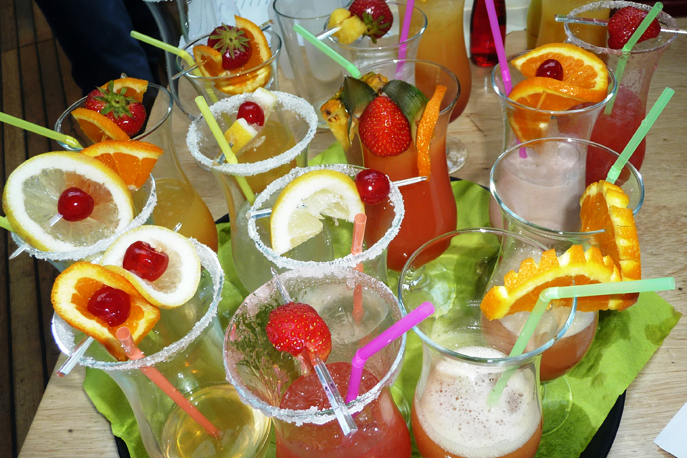 Beside basics of cocktail mixing you will be effectively deployed with tips and tricks which you can use to create delicious non-alcoholic cocktails for your friends and family. Shaken or stirred? Still, a lot of rumors and myths of some cocktails do exist. Our goal is to clarify and inform you about such stories of cocktails. From CHF 85.00 / Pers.